Prior to going whaling I did a quick test with an old Pentacon 200mm lens I have just acquired. Although it appeared sharp with a nice flat field it surrounded the brighter stars with bright red rings. 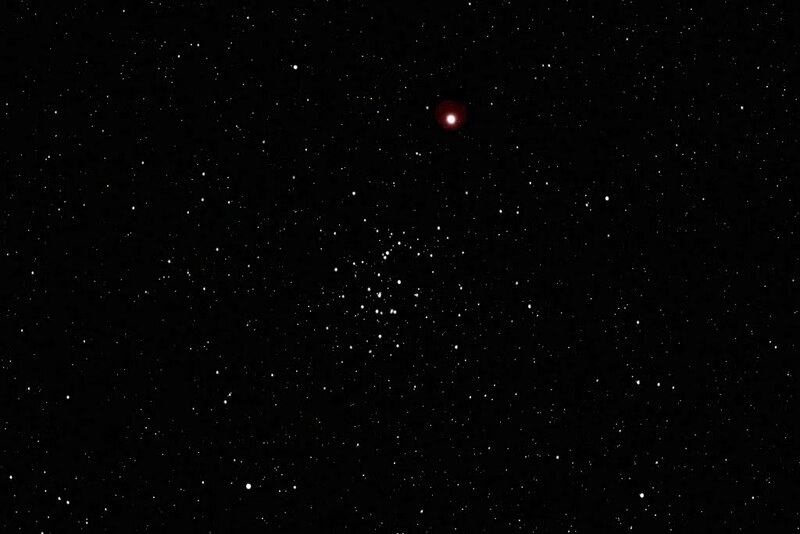 The image is of Mars & M 44 (The Beehive Cluster). I was able to process away the red fringing but at the expense of colour in the stars so quite what will happen with extended nebulous subjects remains to be seen. It is a heavily processed single exposure of 2 minutes @ iso400 with the CLS filter showing the full frame.